Although there are many Toyota dealers in Ohio to choose from, we firmly believe that our commitment to customer service, focus on our three core values, and providing you with a huge selection of new and used vehicles makes us the best choice for our customers. At Joseph Toyota, we aren’t here to just make a quick sale and hope to not see you again for a few years until it’s time to sell you a new car. We believe in building long-lasting relationships with our customers that grow over years of service and assistance. 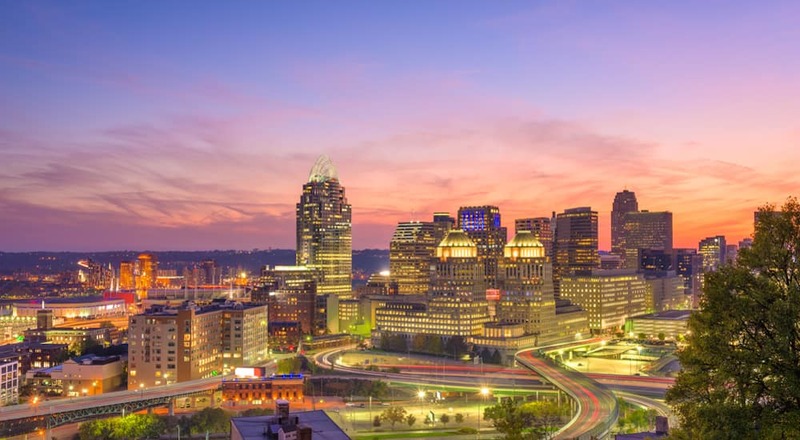 We are a part of the community in Cincinnati. Our customers are not just strangers – they are our friends, family, and neighbors: people we see every day on and off the lot. That is why we focus so much on our relationships with our customers and why we make sure that the entire car-buying process at Joseph Toyota is something you will drive away from with a smile on your face. Anyone can sell you a car, but our commitment to delivering you an easy, true, and clear sales experience is what sets us above other Ohio Toyota dealerships. One of the most important things to us, which separates Joseph Toyota from other Toyota dealers in Ohio, is our set of three core values. These are not just words we use or post online, but guides that remind us what is important and dictate how we interact with the customers who choose us. These core values are simple, as they should be, but absolutely vital to our success and instrumental in governing how we do business. By living up to the high level of service and customer trust we set for ourselves, we know that we make buying a new or used vehicle the pleasant and meaningful experience it should be. We are committed at Joseph Toyota to ensuring that every customer’s experience at our dealership is Easy. What does this mean? It means we never apply pressure to our customers or try to get them bogged down in complications and confusion like some other Toyota dealers in Ohio. Buying a new vehicle is a big decision, but that does not mean it has to be a particularly complicated one. We keep the car-buying process as simple and straightforward as possible. That begins with things like clearly published phone numbers and hours for our dealerships on the website and goes throughout every step of working with a customer. There are enough hassles in life without buying a car being one of them, so we keep things as easy as possible. The truth is vital to us, so we ensure that every customer we interact with has an experience that is true and honest throughout. We commit ourselves to ensuring everything we print, everything we have posted at our dealership, and everything our employees say to our customers is absolutely true. There are never hidden fees that spring up at the end of a deal and suddenly makes a car significantly more expensive, which you might find at some other Ohio Toyota dealerships. If we advertise a price for a vehicle, then rest assured that we will honor that price. Quotes that are given are the real price for a vehicle, and signs or other information posted on vehicles and throughout our dealership are always going to be true. We believe that honesty is important among our employees and between us and our customers. This commitment to truth is not something that we waiver on or follow only when convenient – it is a core value that shapes our business and our personal lives every single day. We are committed to ensuring every customer’s experience with us at Joseph Toyota will be one in which all information is conveyed in a way that is clear for the customer. It may seem that clarity and truth are similar, and while that is true, they are not the same and that distinction is important to us. Someone can say something that is technically true but avoids certain language in order to hide something else or make something sound better than it really is. Clarity in our deals is absolutely vital to us, and something that we focus on every single day. By keeping the car-buying experience clear for our customers, we aim to stand a step above other Toyota dealers in Ohio and ensure our customers are always happy. This means that all information we have is shared honestly with our customers, from prices to vehicle histories, to expectations for maintenance and ongoing vehicle support. Keeping things easy, true, and clear for our customers can sometimes be difficult, but it is worth it to ensure our customers have the best car-buying experience possible. Our three core values might attract you to our dealership, but it is our massive inventory that ensures you find exactly what you are looking for once you arrive. We know there are other Toyota dealers in Ohio, but we pride ourselves on having such a large selection of new and used vehicles that you will have no reason to even look anywhere else. Our hundreds of new cars, trucks, and SUVs include numerous models and trim options so we can help our customers find exactly what they want. Some Toyota dealers in Ohio are content with only a few dozen used vehicles, but we believe that selection should be expansive for all of our customers. A wide range of used models makes it easier for you to judge your options, consider what will best fit your life, and then make a choice that leaves you truly happy. That is what matters most to us: that at the end of your experience with us, you will drive away with just the right vehicle. Financing for a vehicle can get complicated, we know that, which is why we strive to make the process as easy as possible. Our three values extend into this part of the process as well, so we always work with our customers in a way that is honest and clear so they know all of their options and can make a well-informed decision. While we might not control financing the way we can control our inventory, we are passionate about making sure our customers understand every step of the process and drive away happy. We have looked around at other Ohio Toyota dealerships and have seen what works and what doesn’t work. This is why we offer streamlined financing that can begin before you ever walk onto our lot. You can use our online tools to see what you will likely be approved for and to value your trade-in vehicle, which can speed up the financing process at our dealership and make sure you know exactly what you are walking into. Our core concepts do not just begin and end when someone walks onto our lot, but extend throughout every part of our lives. We believe in these ideals and stress their importance to everyone here at Joseph Toyota, because these are things that help build a community. Our customers are our friends and neighbors, people we will see again and again for years to come, so building a strong relationship with everyone is very important to us. This is what sets us apart from some of those other Toyota dealers in Ohio, and is why you should begin your relationship with us today.